Located on the south-eastern coast of Australia, the Great Ocean Road is one of the world’s great scenic drives. 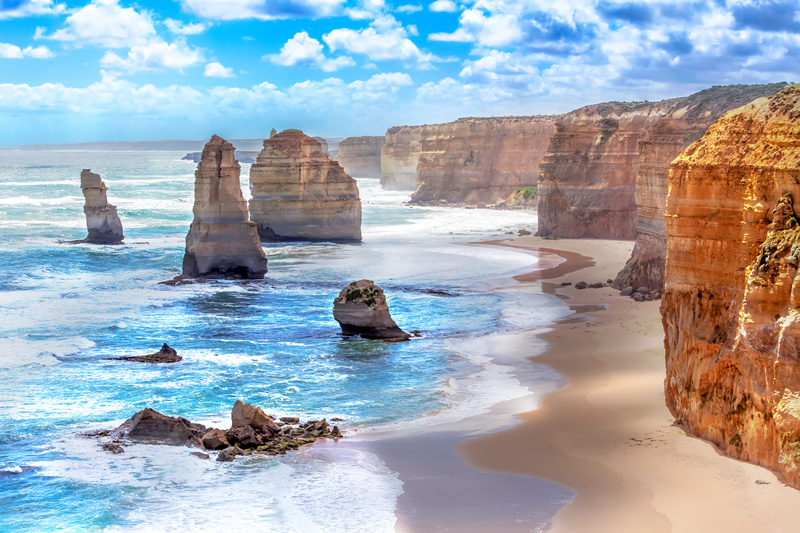 From glorious beaches to rolling green hills, ancient rainforests and the iconic 12 Apostles rock formations, the Great Ocean Road is a great experience for visitors of all ages. The easterly parts of the drive can be seen on a day tour from Melbourne. However, to fully experience the region, an overnight tour is recommended. The road begins in historic Geelong, where you’ll find a delightful esplanade area with carousels, playgrounds and cafes. From here the road begins to wind its way up and around the coastal mountains, and down into river valleys, each of which has a quaint village and superb beach to explore. Lorne is one of the most popular seaside towns on the Great Ocean Road, with its wide, sandy beach and gentle surf perfect for families. 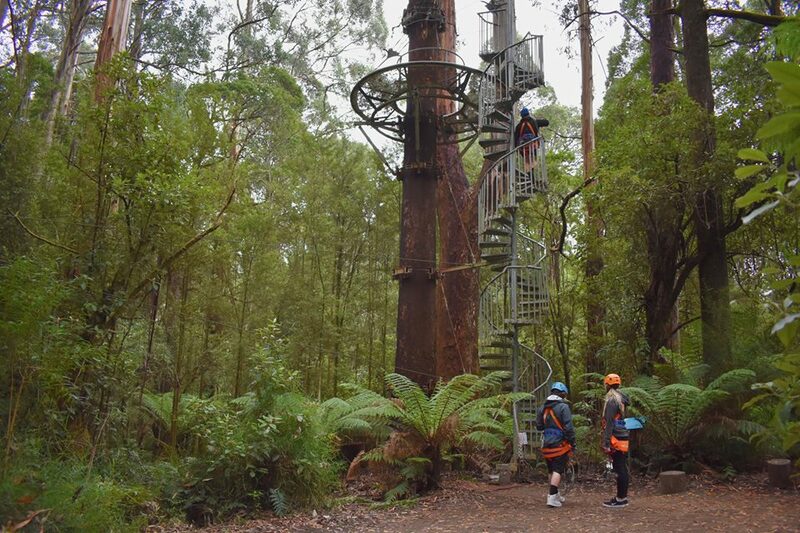 The town is nestled into lush eucalyptus forests and many visitors are treated to sightings of koalas munching contentedly in the tree-tops. You will also see wildlife at Tower Hill, an animal sanctuary nestled inside an extinct volcano. Or take a canoe trip at dusk or dawn to view platypus in a mountain lake in Otway National Park, also home to the Otway Fly Tree-Top Rainforest Walk. Apollo Bay has a crescent-shaped beach with headlands at either end, giving it a zen-like, symmetrical appearance. In Port Campbell you will find the main attractions of the Great Ocean Road – The Twelve Apostles. These dramatic rock formations, which stand off the coast in quiet majesty, were created by the constant erosion of the limestone cliffs over millions of years. Watching the sunset over this rugged coastline is an awe-inspiring experience. Extend your Great Ocean Road experience with a stay in one of the charming seaside villages along the route. There are a range of self-contained holiday cottages to choose from, or for a taste of luxury stay in one of boutique hotels or B&Bs in the area. There are also picturesque caravan parks and budget hostels. Summer (December to March) is peak holiday season on the Great Ocean Road, however a visit at any time of the year is highly recommended. The Port Fairy Spring Music Festival, held in October each year, is renowned for its classical and contemporary program, held within the atmospheric village surrounds.